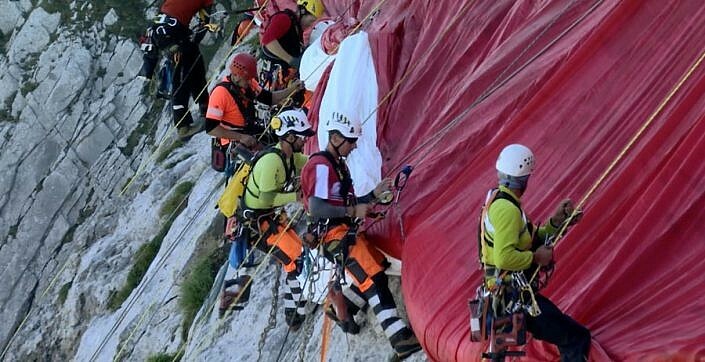 Measuring 80 x 80 meters – or 6,400 square meters – the world’s largest Swiss flag is mounted yearly by a team of expert avalanche control climbers onto a vertical cliff on 2,500 meter elevation Mount Säntis, just in time for Switzerland’s National Day, August 1. 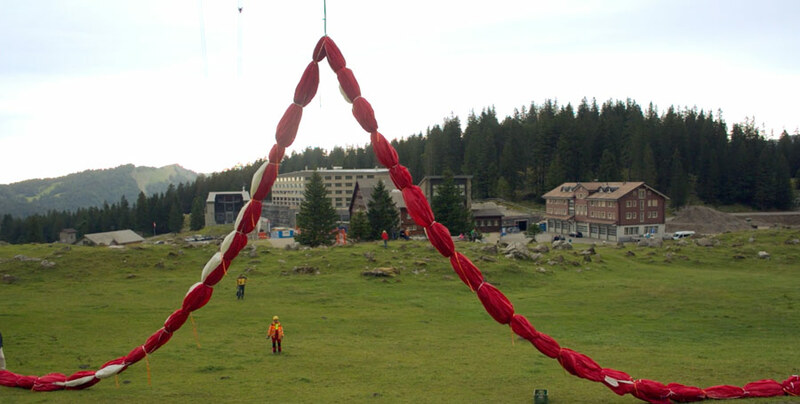 The tradition, however, was started to commemorate the 80th anniversary of spectacular Mount Säntis aerial cable car in 2015. A novel idea and risky undertaking with uncertain outcome, the first year’s flag was promptly shredded by wind and weather. Rather than give up, the organizers refined their approach, sourced a lighter & more resistant material from Swiss flag manufacturer Heimgartner, and now the mounting at the end of July has become an annual tradition which is finding much support among the Swiss population. An innovative crowd-sourcing system allows anyone to co-own one square meter of the flag for a one-time fee of CHF99.00 with their name engraved on the square of their choice on the computer and real-life miniature models! 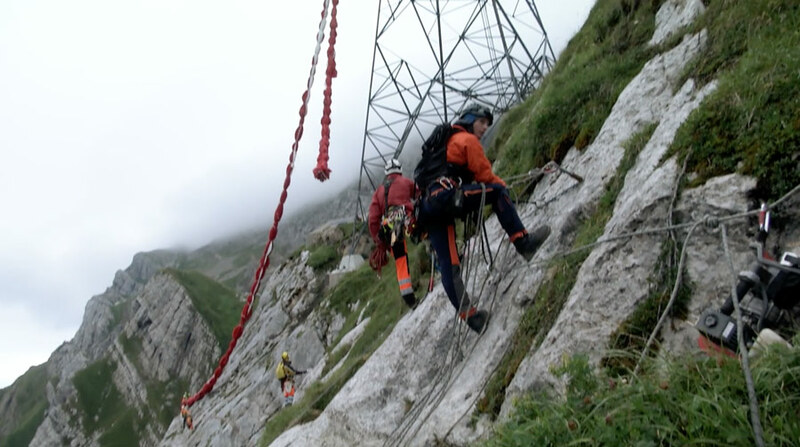 Ownership entitles to a free aerial cable car ride to the summit of Mount Säntis on July 31. At the top, a truly sensational view that stretches over six countries awaits the visitor. Sheltered viewing halls and terraces, the Panorama Restaurants and paths to the summit which are suitable for wheelchairs round out a very impressive experience. 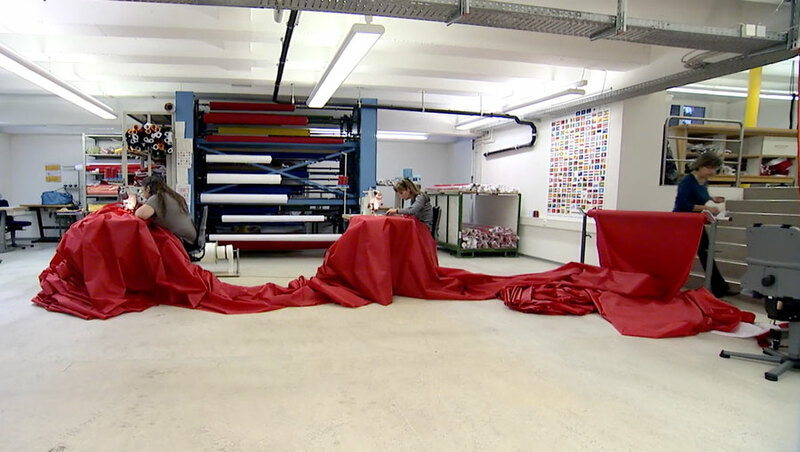 Three seamstresses work one-behind-another to produce individual flag strips of 80 (!) meters each. Every third of the 53 vertical seams (which connects to another 80 meter wide strip) is reinforced with a sewed-in belt in addition to a fastening loop every 4.5 meters. Each loop holds up to 400 kilograms in weight. 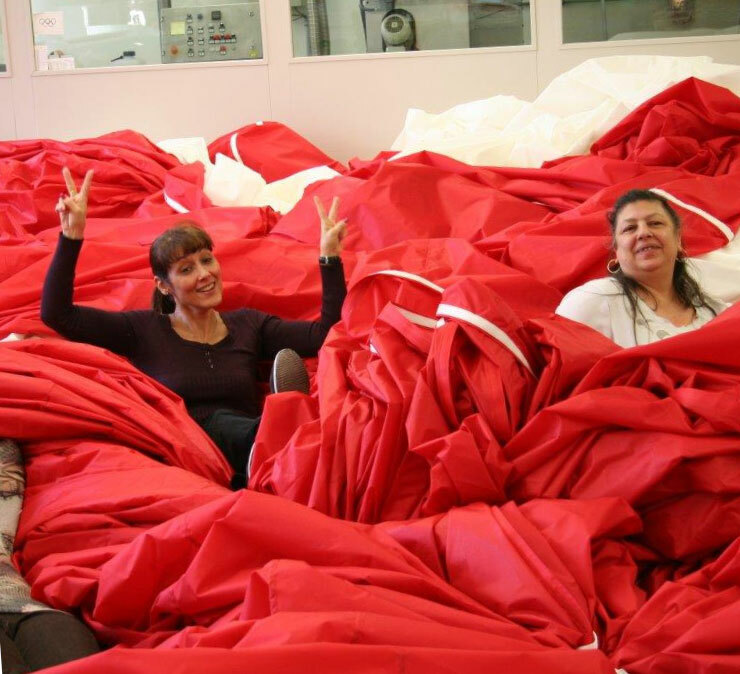 While the seamstresses are working away, a team of helpers is required to assist to gather and move along the strips of material as they grow in width. 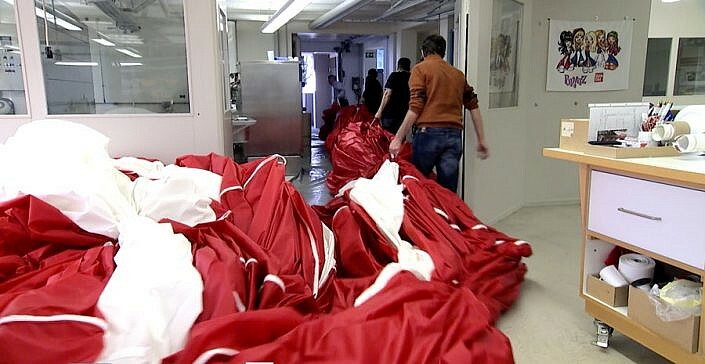 The seams in-between and around the white cross are sewn doubly. The periphery seams are reinforced with a belt all the way around and fastening loops. In addition, every 1.5 meters a steel eye is attached. 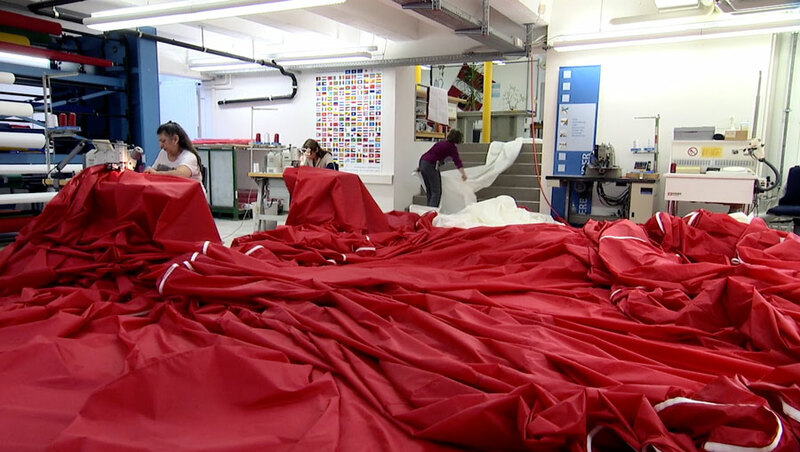 It took six hundred hours to produce the 80×80 meter flag, made of 4,330 meters of fabric, 3,500 meters of belt material and 60,000 meters of thread which adds up to a total weight of 700 kilograms! A truly mammoth task. 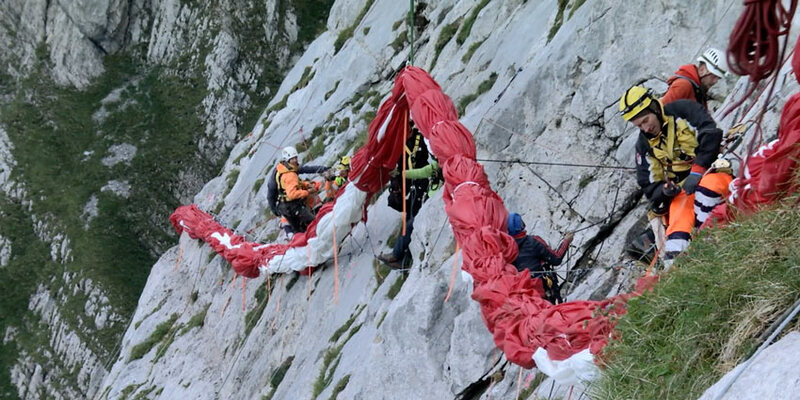 Pulled off the ground and lifted into place by the cable car, the flag is unrolled piece-by-piece by a team of 24 expert avalanche prevention climbers on the vertical mountain side, 400 meters up in the air. 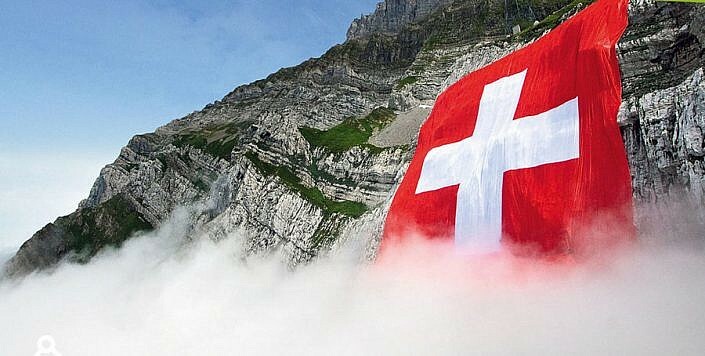 The world’s largest Swiss flag is mounted on July 30 and taken down on August 2nd, provided acceptable weather conditions. 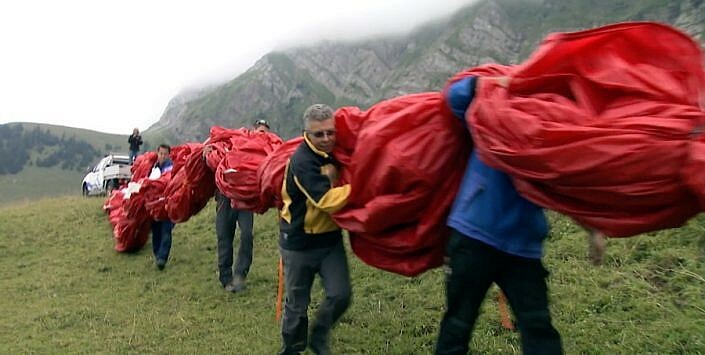 There have been other summers where overnight rain was trapped in the heavy fabric before the flag was unrolled which made the work much more difficult and heavy. 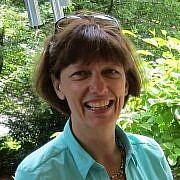 No problems are anticipated this summer as the forecast is sunny and dry. 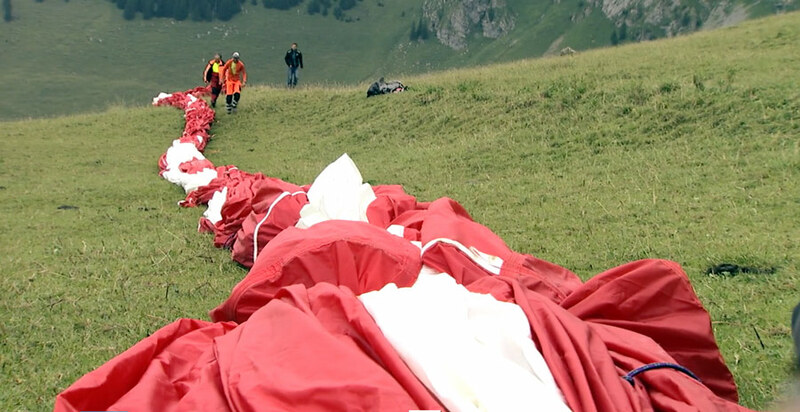 So get out to Mount Säntis and enjoy this spectacular event! 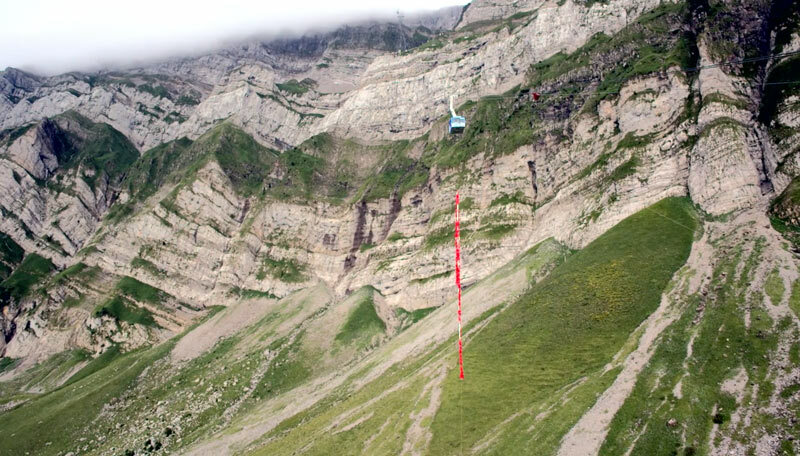 Have you floated up Mount Säntis aerial cable car before? Share your experience and leave a comment below!